Before the Regular Lodge meeting on Tuesday 20th November 2018, cheques were presented to two organisations. 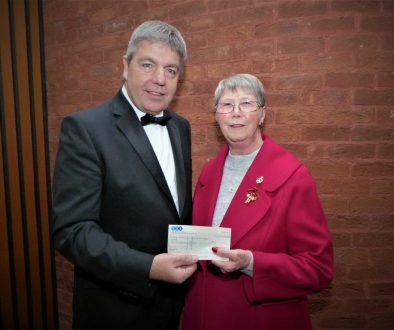 This cheque was presented to St. Andrew’s Hospice and received by Alison Lark. The Worshipful Master, Bro. Paul Hewitt (left) presented the cheque on behalf of the Lodge from the fundraising efforts of both W. Bro. 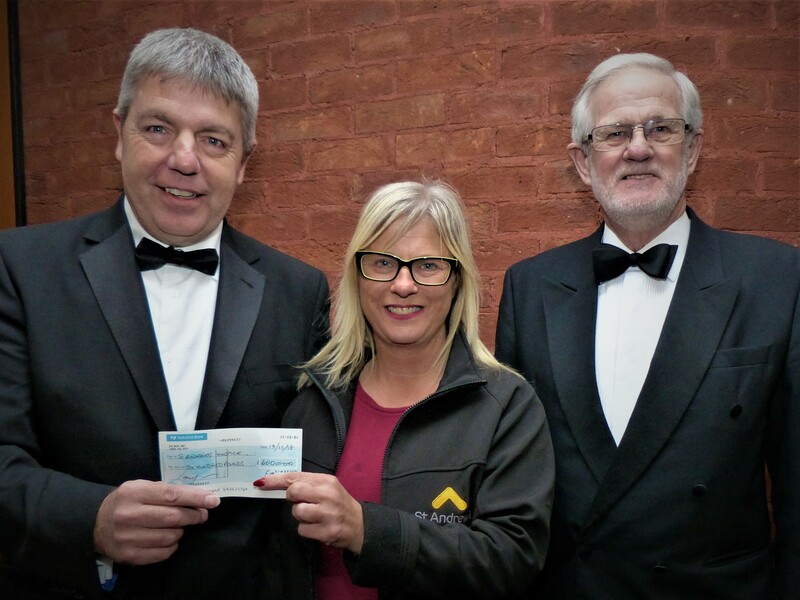 David Smith (right), who raised money through the two golf tournaments held each year, the Summer and Autumn Trophies and money was also raised from the Worshipful Master’s Summer Garden Party.